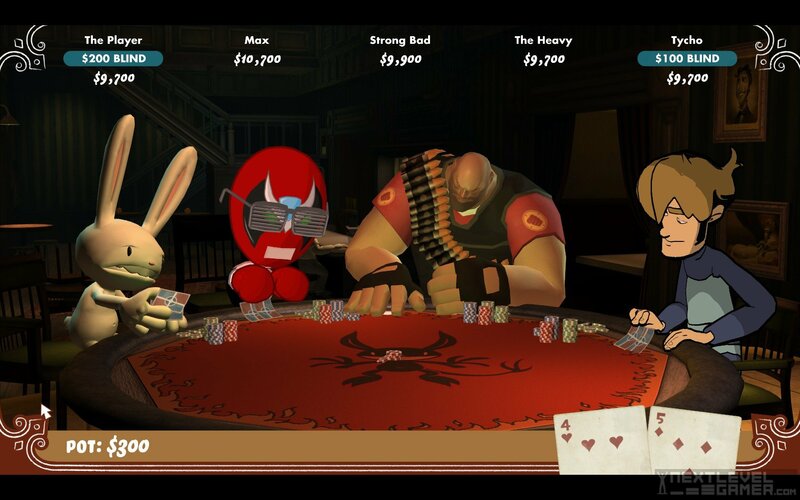 From the fantastic creators of Strong Bad's Cool Game For Attractive People and the infinite Sam & Max games comes Poker Night at the Inventory. A simple poker game that offers you the chance to duke it out Texas Hold'em style with four geeklore characters. We're also given a bunch of unlockables for Team Fortress 2 (assuming you earn them) and some in-game unlockables to customize your poker experience. The game is currently available in the Steam Store for $5.00, which is either a ridiculously fantastic deal or a warning sign of a bad game that's trying to lure you in with a low price tag. Which is it you ask? Continue our review of this curious $5 bargain bin game below!